Raphaela Edelbauer is the writer I am most excited to see at this year’s Bachmannpreis. 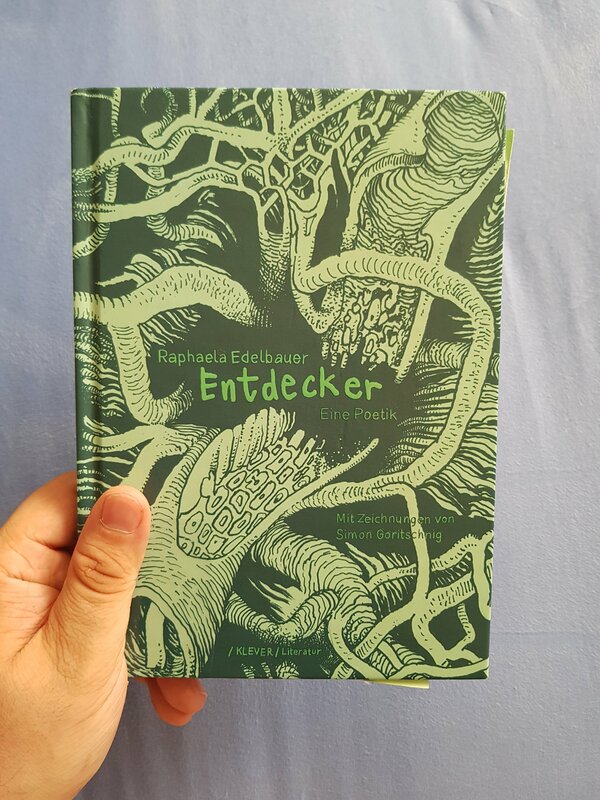 The only book of hers I have read is the magnificent Entdecker – Eine Poetik, a book about writing that is filled, absolutely filled to the brim with unexpected images, with fresh words, with humor and brimming with insights and clarity. If you are a translator, you should absolutely sit down and translate this book. Edelbauer is among the younger writers in this competition, but her book is heads and shoulders above the work of many of her fellow competitors. Entdecker draws on Edelbauer’s own prodigious sense of language, on a sense of story and narrative – tied into the languages of science and discovery. She moves from Humboldt to Wittgenstein and Auerbach with an ease that is almost depressing. The first section, a “beastiary,” reads a bit like Ken Liu’s Nebula-nominated story “The Bookmaking Habits of Select Species” but stripped of the genre ballast and transposed into Humboldtian spheres. Texts as animals – brilliantly conceived and executed with rare skill. The second section, on minerals, begins as a disquisition on minerals, but immediately invents a character and his story to help explain how mining works. In doing so, Edelbauer assembles and disassembles this character – and the tools of storytelling themselves. Without ever sounding obnoxious or pretentious, she dives in and out of representation, offering a comment both on the language of science and the structure of narrative in the process. There are so many dry, constructed books making the rounds in English translation, intellectually interesting, but written without inspiration or power. Edelbauer is the exact opposite of that. Since this is just supposed to be a brief note and not an analysis, I cannot go into details about the way she uses theories from Deleuze to Haraway and many others without ever namedropping any of them. Her makeshift protagonist turns into mineral, into machine, into text and back into narrative. He becomes object through the machinations of language, laid bare for all to see. Similarly, the chapter on cartography – like a long riff on Elizabeth Bishop’s poem and theories of narrative and cartographic and mental mapping, she tells bits of stories, reveals them as types, uses the language of science and the metaphors of fiction. There is depth and breadth to her writing, but it also works on a sentence by sentence basis. Open the book to any page and you’ll see excellent writing. My favorite section is one towards the end called “Anatomy” – it’s the most fiction-like part of the book, and largely charts a trip through human anatomy – a literal trip. The protagonist’s travels and travails through the bends and shapes of the human body are told with a fresh eye to how these stories can or should be told. They also combine various ideas brought up earlier, from maps to gravitational theories. Some of this prose reads like a pastiche of 19th century writing, with the same focus on exclamations, and the same way of dealing with heightened emotions and imagined horrors. There’s a clever connection here by Edelbauer between style, and content and a smart way of connecting various origins of specific discourses, all while remaining engaging and readable. I don’t know what she’ll do at the competition, how this will translate into a sustained piece of fiction, but I am extremely excited to find out! I’ve discussed this issue before: how do you define a German novel? Some of the most interesting books published in the German-speaking countries recently have complicated this question beyond the usual distinction between literature by Germans and German-language literature, which is also written, say, by Austrians and Swiss writers. Barbi Marković offers a completely new challenge. Her debut novel Superheldinnen has been published in German by an Austrian publisher, and it is not a translation of a previously published Serbian book. The author speaks and reads and writes German (she has taken part in this year’s Bachmannpreis), and has written vast portions of the book in German – before giving up and translating the bulk of it back into her native Serbian. Her friend and translator Mascha Dabić then translated (with her help) that text back into German, whereupon it was then published by Residenz Verlag. Superheldinnen only exists in German – and in a way, this makes the book German literature, much as I think the excellent output by British writer Sharon Dodua Otoo, who was born in Ghana and now works and lives in Germany, should also be considered part of German literature. Too- narrow definitions of what German literature is misrepresent how the field of German literature works – and risks focusing only on the most dull and boring books to boot. Germans like to talk about migrants, the recent, almost unbearable novel by Jenny Erpenbeck (Go Went Gone) is a good example of that focus, but they are not as happy to hear from those migrants themselves – the strange spectacle of the 2017 Bachmannpreis is evidence of that. Barbi Marković was born, has lived and worked in Serbia – but her literary output is clearly yoked to her years of studying in Vienna. 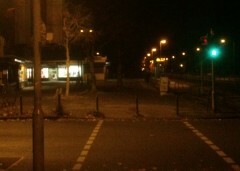 Her first book is a riff on Döblin’s Berlin Alexanderplatz. her second a riff on Thomas Bernhard’s story Gehen, and this, her third? It’s a sharp interrogation of the immigrant experience in Vienna during the late Oughts, it’s also an extended riff on various German and literary texts, it is an explosively written take on fairy tales, existentialism and the dread and anxiety of poor people. Marković employs all kinds of methods and genres to push her story forward, from montage to poetry, and given the enormous vitality of its speaking voices it’s hard not to see her acquired skills as a playwright at work here. This book is very good, very funny, and very desolate and dark. It’s also heads and shoulders above all the books on last year’s German Book Award shortlist, if you want a sense of the priorities of German critics. 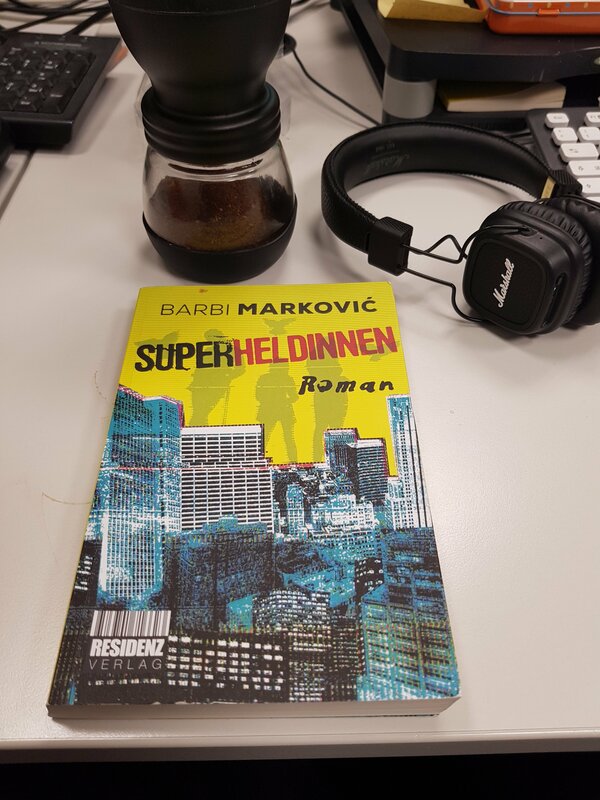 Superheldinnen is vital, relevant, brilliantly written literature. It’s also German literature. The question should not be – is this German literature? 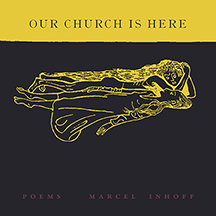 It should be – why isn’t there more German literature like this? The book focuses on three women. They live in the Vienna suburbs, congregating, like Shakespeare’s witches, to ponder fate – their own, but also that of people around them. They have special “powers” – they can lift a hapless person from misfortune and obscurity onto a better path, but they can also make a person vanish from the world – well and truly vanish, so that nobody will ever remember them again. Like Macbeth’s witches, their mutterings and comments and speeches have the quality of a chorus, of a coven of angry voices, but there’s no hero in the foreground. There’s just the three women – who are all of them immigrants, and utterly poor, “working poor,” as the terminology has it today. They have jobs but sometimes, bad luck, racism and other systemic obstacles will be quite enough to root people quite firmly in poverty. And they want out. They don’t wish for riches – they crave to be middle class. That is, being able to afford going out occasionally, being able to put food on the table without anxieties and maybe even afford children. In their words, we read disdain and envy for those who have a secure life, but also plain desperation. All three women live a life without safety, without support, and their language reflects this tension. The book looming in the background of Superheldinnen is Berlin Alexanderplatz, Döblin’s classic novel of poverty and despair. 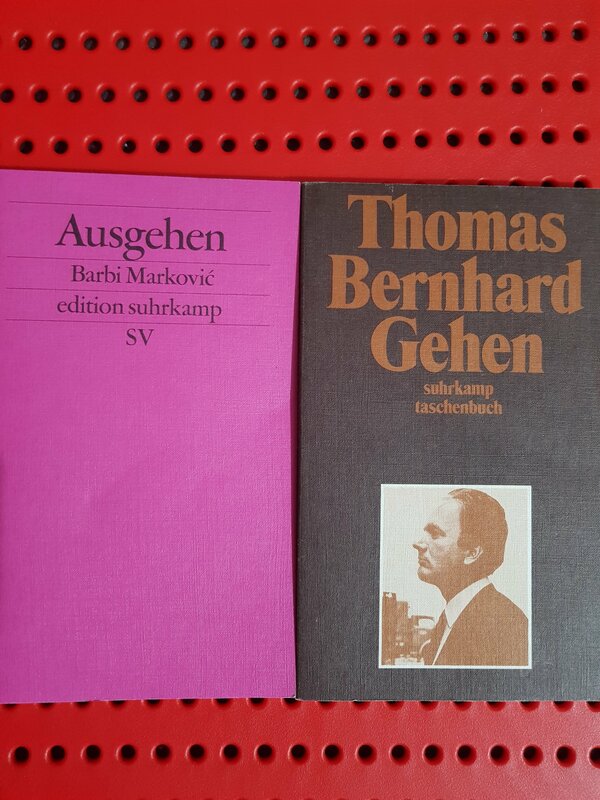 In fact, Marković, who studied German literature, names the book specifically in a section of her novel that takes place in Berlin. This feat of transposing Döblin’s novel, which is incredibly male, filled with violence, male sexual anxieties and the expectations that society places on men, onto the lives of these women, is a remarkable bit of literary wizardry. The author demands of her readers that they be able to see beyond the specifics of these two sets of people to the issues and problems they share, as part of the working class underbelly of Europe. In many ways, this is obviously a book about migration, assimilation and issues like that, and I may get to them later, but Marković does break with expectations in writing a stirring, bleak portrayal of the despair of vast sections of the working class, whether they are immigrants or not. This clear sense of social issues isn’t particularly common in immigration narratives, which often focus more on cultural issues. It’s not that immigration narratives portray only affluent people – but the answer to why they sometimes struggle is often racism. What about capitalism, one imagines Marković’s rejoinder. Things are a mess for vast portions of the populace, and the reasons for that are complex and dispiriting. That is not to say that Marković isn’t interested in cultural issues at all. The plot, in the present tense, focuses on the most recent meeting of the three women where they decide who to curse and who to lift from misfortune. Interwoven into their debates are memories of the past, of attempts to make it in Berlin, of memories of Belgrade and Sarajevo. As it turns out, the book offers its readers a layered discourse about speech and memory. The invention of the power to erase someone from public memory alone is a powerful metaphor for the way memory is constructed. Shoshana Felman, in one of the most striking essays I have read this year, suggests that women cannot have an autobiography, inasmuch as an autobiography entails confession. Women can only testify – and this is a process that implies (and demands) readers, other women, others who read that autobiography and thus make it real. “We might be able to […] access our story only indirectly – by conjugating literature, theory, and autobiography together.” That is a very clear description, I think, of what Marković does here. She creates a montage of voices and references – in part the book is an actual montage, of her text and bits and pieces of ads, billboards and other noises, centering around that central metaphor of the possibility to be entirely erased from memory. So how do we deal with it, we speak, we speak and we listen, we read and we share.